EACH YEAR, throughout the Muslim world, believers participate in the month-long Ramadan fast. Here in Kabul, where I’m a guest of the Afghan Peace Volunteers, our household awakens at 2:15 a.m. to prepare a simple meal before the fast begins at about 3:00 a.m. I like the easy companionship we feel, seated on the floor, sharing our food. Friday, the day off, is household clean-up day, and it seemed a bit odd, to be sweeping and washing floors in the pre-dawn hours, but we tended to various tasks and then caught a nap before heading over to meet the early bird students at the Street Kids School, a project my hosts are running for child laborers who otherwise couldn’t go to school. I didn’t nap – I was fitful and couldn’t, my mind filled with images from a memoir, Guantanamo Diary, which I’ve been reading since arriving here. Mohamedou Ould Slahi’s story of being imprisoned in Guantanamo since 2002 rightly disturbs me. In all his years of captivity, he has never been charged with a crime. He has suffered grotesque torture, humiliation and mistreatment, and yet his memoir includes many humane, tender accounts, including remembrances of past Ramadan fasts spent with his family. I’ve never heard Muslims complain about being hungry and thirsty as they await the fast-breaking meal. Nor have I heard people brag about contributions they’ve made to alleviate the sufferings of others, although I know Islam urges such sharing during Ramadan and aims to build empathy for those afflicted by ongoing hunger and thirst. Mohamedou relied on empathy to help him through some of his most intense anguish and fear. A judge ordered Mohamedou’s immediate release in 2010. But the Obama administration appealed the decision, leaving him in a legal limbo. From 1988 to 1991, Mohamedou had studied electrical engineering in Germany. In early 1991, he spent seven weeks, in Afghanistan, learning how to use mortars and light weapons, training which would allow him to join the U.S.-backed insurgency against the Soviet-backed government in Kabul. He was one of Ronald Reagan’s celebrated “freedom fighters.” In early 1992, when the communist supported Afghan government was near collapse, he again went to Afghanistan and, for three weeks, fought with insurgents to overtake the city of Gardez. Kabul fell shortly thereafter. Mohamedou soon saw that the Mujahedeen insurgents were fighting amongst themselves over power grabs. He didn’t want to be part of this fight and so he went back to Germany, then Canada and, eventually, home to Mauritania, where he was arrested and “rendered” to Jordan for questioning, at last arriving in Afghanistan’s Bagram Air Force Base on his way to Guantanamo. I wonder how he is feeling as he observes Ramadan without his family for the 13thconsecutive year. 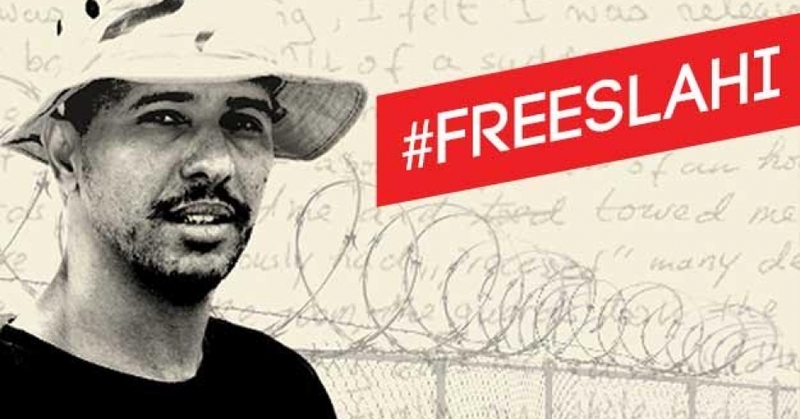 I wish he could know that growing numbers of people in the U.S. believe he should be released and want to help atone for the suffering he has endured. Martha Hennessy, who arrived in Kabul with me, several weeks ago, hurried back to the U.S. to face charges for protesting against U.S. legitimation of torture only to learn that both of the Witness Against Torture campaign cases scheduled for trial that week were dismissed. 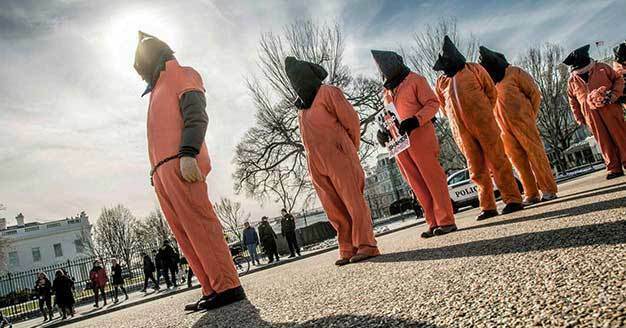 Perhaps public opinion now requires that the U.S. Department of Justice recognize that activists’ right and duty to protest the cruel abuses of U.S. torture policies. I wish Mohamedou could visit Afghanistan again, not as part of a training camp for insurgents, not as a terrified, shackled prisoner, but as a guest of the community here. A former U.S. military person dropped by the Street Kids School on Friday morning. The U.S. Air Force trained her to operate weaponized drones over Afghanistan. Now, she comes to Afghanistan annually to plant trees all over the country. She feels deep remorse for the time in her life when she helped attack Afghans. I don’t believe in training anyone to use weapons, but as I read Mohamedou’s words about his brothers who went to foreign countries as fighters, I thought of the Pentagon’s recent practice runs, over the New Mexico desert, training people to fire the terrifying Massive Ordnance Penetrator (MOP), a bunker buster bomb which is 20 feet long, weighs 15 tons and carries about 5,300 pounds of explosives. People in the U.S. should consider how their horror at the violence of U.S. enemies encourages and exonerates the far more crushing violence of their own government, engaged at this moment in conflicts throughout the developing world and armed with weapons capable of extinguishing all human life within minutes. On this fast day, I remember that many U.S. people worry, like anyone anywhere, about the hardships a new day may bring, in a dangerous and uncertain time that seems to be dawning on every nation and the species as a whole. In the U.S., we carry the added knowledge that most of the world lives much more poorly – in a material sense, at least – than we do, and that were the sun to truly rise upon the U.S., with familiar words of equality and justice truly realized, we would have to share much of our wealth with a suffering world. We would learn to “live simply so that others might simply live.” We would find deep satisfaction in beholding faces like those of my friends gathered for a friendly morning meal before a day of voluntary fasting. Or, like Mohamedou, find warmth in the imagined breath of others sharing involuntary hardships. “Another world is not only possible,” writes author and activist Arundhoti Roy, “she is on her way. On a quiet day, I can hear her breathing.” U.S. people must know that life in the daylight might also be the start of an unaccustomed fast. When will day break? I haven’t a clock nearby to tell me when, but I can’t go back to sleep. When I see the children adapt so readily to the schooling denied them, when I watch my young friends struggle eagerly to take the small steps allowed them, sowing seeds of mutual understanding or planting trees in Kabul, and when I read such grace and dignity in the words of Mohamedou Ould Slahi after years of torture, I have to believe that a dawn will come. For now, it remains a blessing to work alongside people awake together, even in darkness, working to face burdens with kindness, ready to join with kindred spirits near and far, faces aglow with precious glimmers of a coming day.